Monthly Meeting: Tuesday, May 14th, 7PM at the Kerby Centre downtown. AGM followed by Volunteer Appreciation Night. In recent years there has been controversy surrounding the utility and helpfulness of the PSA Test as a means of diagnosing and detecting prostate cancer. PROSTAID Calgary has spoken up on these topics to various audiences, and we've consolidated our statements and the recommendations of various other organizational bodies on this one page for further reading. 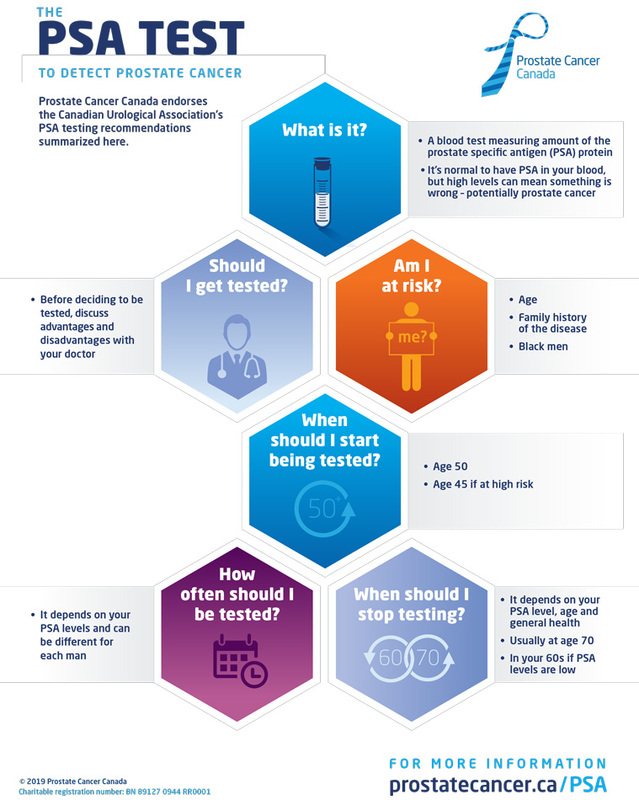 Press Release On PSA Testing - PROSTAID Calgary first spoke up on the PSA Testing issue in October of 2014 when our then President Steve Belway expressed the organization's disagreement with the Canadian Task Force on Preventive Health Care recommendations regarding PSA. Controversy about PSA Screening for Prostate Cancer - PROSTAID Calgary's stance on the topic of PSA Screening was then further qualified and quantified in March of 2016 by our diretor, Stewart Campbell. CUA Recommendations on Prostate Cancer Screening - The Canadian Urological Association released comprehensive recommendations for prostate cancer screening and early diagnosis in October of 2017. • Who is PROSTAID Calgary? Become a PROSTAID Calgary Member Today! Maybe you can live without a PSA test...but why take the chance? PROSTAID Calgary is your first destination for prostate cancer support in Calgary, Alberta, Canada and across the world with information and support through our online videos, support meetings, prostate cancer news, and awareness initiatives. Site Designed & Maintained by Rhettoric Media.